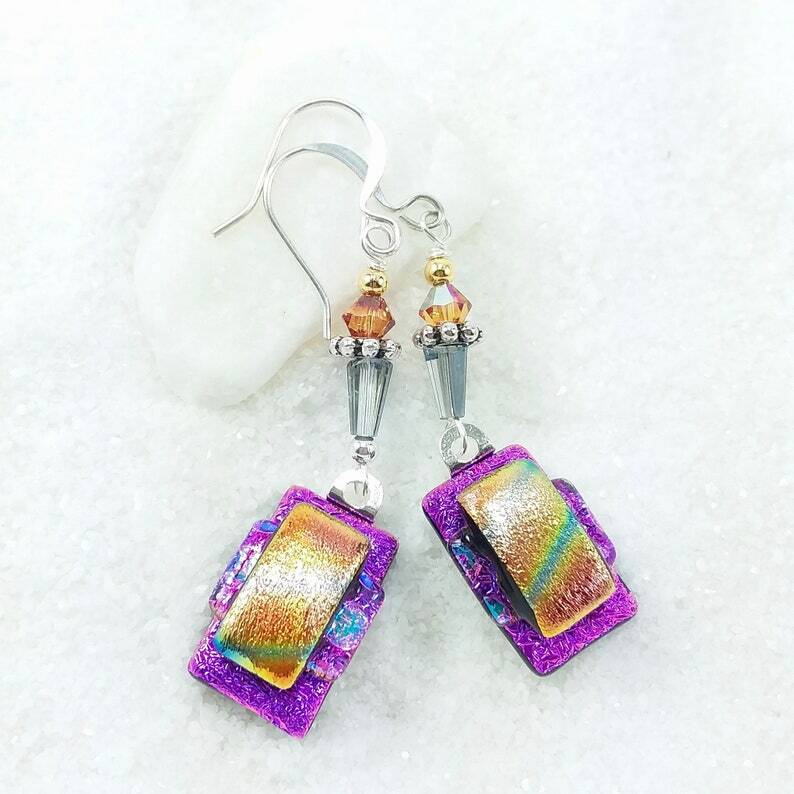 Lovely violet-pink dichroic glass with stripes of sparkly aqua blue and golden rainbows! 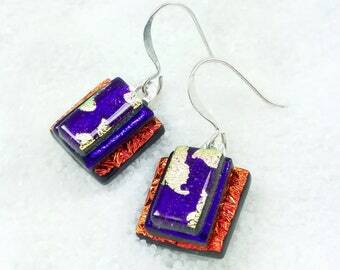 They dangle from complimenting Swarovski crystals and silver plated beads! Set with silver plated bails & ear wires.